Chef puts the fried chicken egg on a salad in a restaurant kitchen. 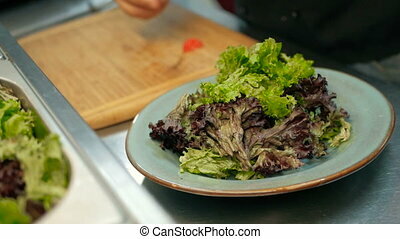 cooking salad step by step. 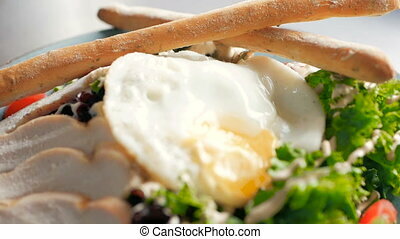 Chef puts the fried chicken egg on a salad. 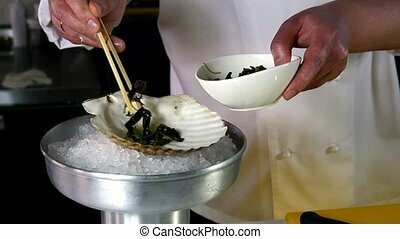 Cook puts seaweed on a white shell in the restaurant. 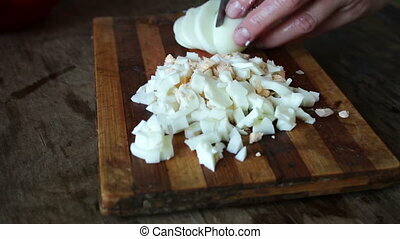 Preparation of sea scallop salad. Slow motion shot. 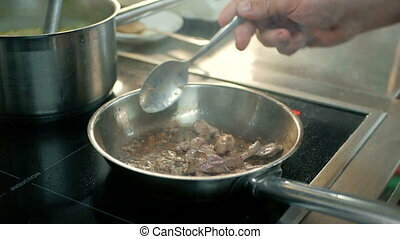 Recipes for cooking. 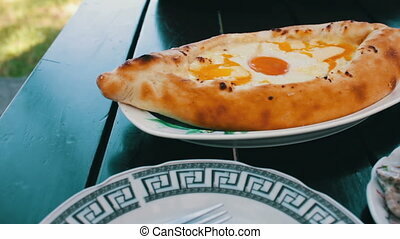 Adjarian Khachapuri With Egg Georgian Cuisine In The Restaurant. Georgian Food. 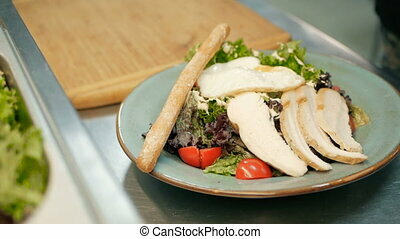 On a wooden table in the restaurant there are also salads with chicken. Adjarian khachapuri Georgian cuisine in the restaurant. 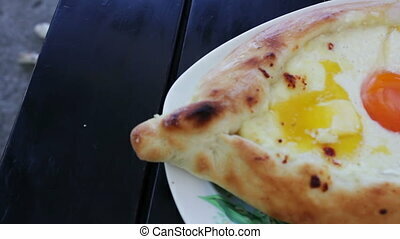 Apetitnye Cheese Khachapuri with egg inside on a plate. 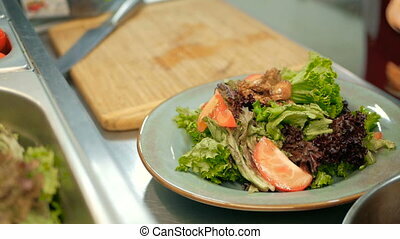 On a wooden table in the restaurant there are also salads with chicken. Full HD 1920 x 1080p, 25 fps. Adjarian khachapuri Georgian cuisine in the restaurant. 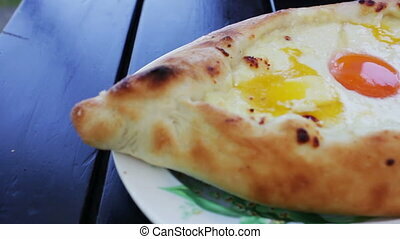 Apetitnye Khachapuri with egg inside on a plate. 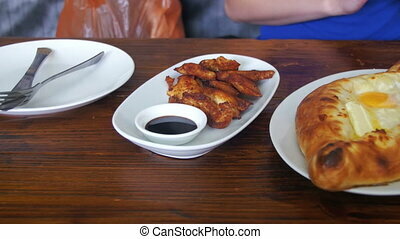 On a wooden table in the restaurant there are also salads with chicken and mushroom salad with sauce. Full HD 1920 x 1080p, 25 fps. 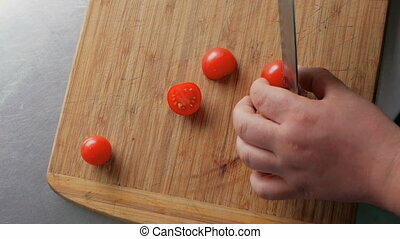 chef cutting tomatoes on a wooden board in the restaurant kitchen. cooking salad step by step. 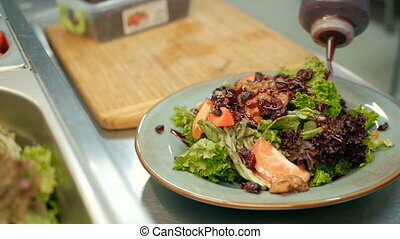 Chef pouring sauce on the salad in a restaurant kitchen. 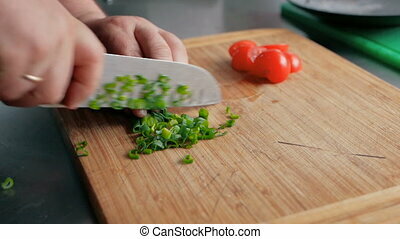 cooking salad step by step. 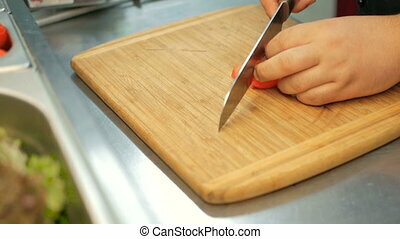 chef to cut an onion on a wooden board in the restaurant kitchen. cooking salad step by step. ready-to-eat salad from the chef in a restaurant kitchen. cooking salad step by step. 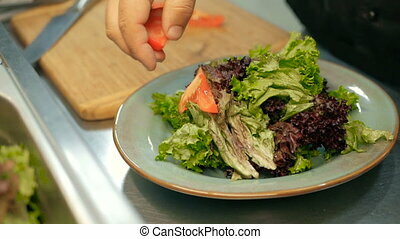 Chef putting tomatoes on lettuce leaves in a restaurant kitchen. cooking salad step by step. 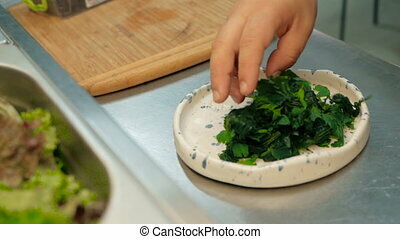 the chef puts the leaves of the nettle on a plate in a restaurant kitchen. cooking salad step by step. 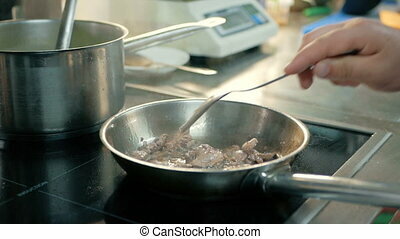 Chef pouring mayonnaise or sauce on the salad in a restaurant kitchen. 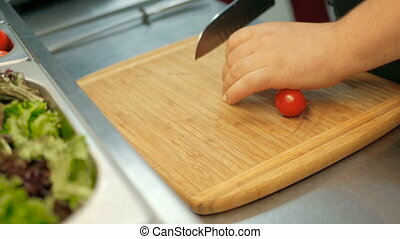 chef cutting tomatoes on a wooden board in the restaurant kitchen. 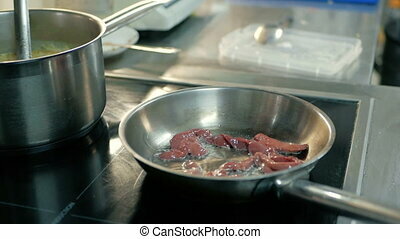 chef fry the bird's liver in a frying pan in a restaurant kitchen. 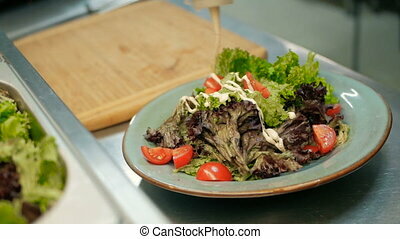 cooking salad step by step.